President Hamid Karzai’s visit to India is one that both sides will look at with satisfaction. He has met Prime Minister Manmohan Singh and the 2011 Strategic Partnership Agreement has borne fruit. India will now provide military equipment to the Afghan armed forces in addition to the training and other assistance that it is rendering. This may even include helicopters configured according to the Afghan specifications. Now that the Punjab Chief Minister and his equally hard-working deputy are through with the entertaining kabaddi matches, swearing-in ceremonies and regaling industrialists with tales of “progressive Punjab”, they should find time for some more mundane things like unemployment among youth. The expensive firms they have hired for PR work do project that some two lakh jobs would be created by the MoUs signed. The Government of the United Provinces is always prompt in adopting measures for the prevention of distress in times of drought. When the monsoon rains proved disappointing it lost no time to provide for the grant of taqari advances on a literal and extensive scale. It at the same time issued circulars to keep itself fully informed of the effect of the drought on the general population. We now find the Government has issued a Resolution sanctioning compensation for dearness of provision to low paid officials with effect from 1st November last. While Mr Arvind Kejriwal’s Aam Aadmi Party has brought about a miracle in the Delhi Assembly election by snapping at the heels of the Bharatiya Janata Party while sweeping away the Congress of 15 years' vintage to near irrelevance, the key question remains. Can an anti-corruption movement converted into a political party be more than a symbol and take on entrenched political parties at the national and regional levels? A few days ago when the Supreme Court pronounced on curbing the unseemly proliferation of red beacons mounted atop official cars, I wondered whether their Lordships were guided by the past that till August 1947, this symbolism was confined almost exclusively to commanders (Brigadiers and above) in the armed forces alone. Much like their badges of rank, the red beacon was simply an additional trapping of command as distinct from any symbol of office per se. And I was reminded of a hilarious story of how Lieut-Col Barry Jackson (BJ) strove to preserve this cherished distinction. Mahatma Gandhi was among the first to have spoken on the issue of elitism at great length. In his usual but uniquely uncommon manner, Mahatma Gandhi had warned: “Democracy cannot be run if you leave your thinking to be done by those who live in palaces whether they be the British or our own countrymen” (June 3, 1947, Prayer Meeting). President Hamid Karzai’s visit to India is one that both sides will look at with satisfaction. He has met Prime Minister Manmohan Singh and the 2011 Strategic Partnership Agreement has borne fruit. India will now provide military equipment to the Afghan armed forces in addition to the training and other assistance that it is rendering. This may even include helicopters configured according to the Afghan specifications. In recent years, the role that the Indian armed forces have played in providing essential help to the Afghan army has increased, which is a natural corollary of the withdrawal of the Western forces from the war-weary nation. India and Afghanistan have a long-standing relationship, one that dates back to centuries. In the post-2011 Afghanistan, India provided substantial aid in the form of infrastructural development and medical assistance, while carefully keeping Indian soldiers off the ground in Afghanistan. It has kept its strategic link intact while performing a delicate diplomatic dance to allay regional apprehensions of its role. It now seems that Kabul's request for more military assistance, too, has met with a positive response. It can well be argued that India needs to up the ante by training more than the limited number of Afghan National Army officers and men that have received training so far. The Indian Army has a proven track record, and its help has been acknowledged by the Afghans. President Karzai has performed the difficult task of marginalising the Taliban, whose writ ran large over Afghanistan before 2001. The country faces a tough time ahead as the Western powers withdraw their soldiers and the Afghans look at a future where they will have to fend for themselves. India needs to invest more in Afghanistan's future, not only economically, as it has done by providing over $2 billion in aid, but also by helping the Afghans to look after their internal security. The volatile situation in Afghanistan with the Taliban on one side and the Karzai-led government on the other, will continue to throw up challenges. However, as the visit of the Afghan President shows, there is still a tremendous reservoir of goodwill that the two countries can tap into as they look at a brighter future. Now that the Punjab Chief Minister and his equally hard-working deputy are through with the entertaining kabaddi matches, swearing-in ceremonies and regaling industrialists with tales of “progressive Punjab”, they should find time for some more mundane things like unemployment among youth. The expensive firms they have hired for PR work do project that some two lakh jobs would be created by the MoUs signed. But there is no mention or data of how many are jobless. An indication of the extent of unemployment in the “progressive Punjab”is available from the test Panjab University organised on behalf of the Punjab government on Sunday for the recruitment of B-category Food Inspectors. For the 461 posts, 1.86 lakh youth turned up. When was the last time the issue of unemployment was talked about by the voluble father-son duo that presides over the destiny of Punjab? The budget makes no mention of unemployment. The Finance Minister seldom opens his mouth to talk about economic issues, leave aside joblessness. Obviously, the youth of Punjab facing a bleak future cannot be entertained by cultural functions even if Priyanka Chopra and Ranveer Singh are invited to perform. Unemployment is a serious national problem. If the government of a state with a declining growth rate is unable to do much about it, it should at least honestly acknowledge and face the issue. The jobless were put to needless tension and harassment on Sunday. Where was the need to summon all the 1.86 lakh aspirants to Chandigarh? Some 74,000 of them could not take it because of traffic blockades. Many travelled long distances to take the test. They could have been spared the financial burden and humiliation had the test been held at multiple centres in Punjab. More universities could have been given the job. Boastful advertisements apart, this is how the government actually functions — or malfunctions. The Government of the United Provinces is always prompt in adopting measures for the prevention of distress in times of drought. When the monsoon rains proved disappointing it lost no time to provide for the grant of taqari advances on a literal and extensive scale. It at the same time issued circulars to keep itself fully informed of the effect of the drought on the general population. We now find the Government has issued a Resolution sanctioning compensation for dearness of provision to low paid officials with effect from 1st November last. The compensation will be paid at the rate of one rupee per mensem to all whole-time Government servants on the regular provincial establishments drawing Rs. 10 per mensem or less in all districts (except the hill tracts of the Kumaon Division) if the average price of food grains in ordinary use is dearer than 11 seers for one rupee. Chaukidars and Patwaris will not draw the allowance, so also those who are on leave. The opening paragraph in the “Diary” of the “Wayfarer” in the Nation of the 29th ultimo is devoted to a brief examination of the soundness of the proposal to appoint Lord Kitchener as Governor-General and Viceroy of India. The writer says: “There is more to be said for the appointment of Lord Kitchener as Viceroy of India than students of his early career might find in it; nevertheless, one hopes that the Government will not assent to it. So important is it at this stage of all others that the civil and the military Government of India should be held apart, and the sword kept in its place, that the wisest and most pacific of military Governor-Generals would be dangerous. No doubt Kitchener as Commander-in-Chief in India and Kitchener as Consul-General in Egypt are two different people. One swallow does not make a summer and although the giant killer has promised to take his fledgling party's reach far and wide, he seems to be aiming for 2019, rather than next year's general election. For the present, he has momentum on his side by the sheer dint of converting a one-year-old party into a fighting machine in touching distance of victory in its first attempt. But the point to analyse is how far the character of Delhi state with its cosmopolitan mix and inter-regional character makes it unique and how far can the experiment be replicated in the rest of the country. First, it must be acknowledged that building on the path-breaking Anna Hazare anti-corruption movement in particular, Kejriwal has lit a spark that has touched many by his idealism and by opening a path to tap the innate goodness of many wanting to do good for the country, men and women of many persuasions who have felt suffocated by the Indian political culture as it has come to be practised. In a sense, it has evolved into a Congress culture not confined to one party or practised by the BJP alone among the opposition parties. Populism is often the handmaiden of democracy and in a country as diverse in ethnicity and religions as India, special interests and a plethora of reservations of one kind or another have become the inevitable props for politicians and parties. In the 66 years of Independence, the tall leaders of the Independence Movement have been replaced by lesser men and women, as inevitably happens when the idealism of seeking freedom is substituted by more mundane matters of running the state and corruption literally and figuratively creeps in. What Mr Kejriwal has proved is that given an opportunity for clean and honest politics, it can draw support from men and women of all strata prepared to make immense sacrifices in volunteering their services and giving the little they have for the good of the party. Mr Kejriwal disagreed with his mentor Anna Hazare in choosing the path of politics to fight the system from within. Indeed, for a time, it seemed, the latter came close to disavowing his pupil. The spat on the Lokpal Bill has now widened into an open chasm. Mr Kejriwal has proved, admittedly on a mini scale thus far, that his hunch was right, that there were enough people willing to work for an honest party if given the chance. The remarkable performance of the AAP in Delhi on its debut raises the stakes not only for the traditional parties but also and specially for the innovator. He has ignited the passion of many for a different kind of politics, and the challenge of meeting the soaring expectations of so many so tired of the politics of money power and patronage, with dollops of inducements. One of the many assets Kejriwal has enjoyed is the calibre of his supporters in the cause, the psephologist Yogendra Yadav, the legal brain Prashant Bhushan, among others, and the expertise of hi-tech whizz kids who volunteered their services. There were, in addition, many silent supporters wishing him well in an endeavour worthy of the Gandhian tradition, not merely by wearing fashionable khadi and paying lip service to the cause but by making their own, often sterling contributions. 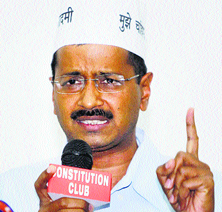 Mr Kejriwal's task is immense, even if one takes a five-year time framework. To begin with, there is the language problem in the plethora of tongues that are spoken. One of the reasons of success in Delhi has been the leader's and his supporters' felicity in spoken Hindustani and its idioms. This link with the majority in each region and language group will need a support structure built around groups of dedicated local workers with a talent for organisation and imagination to involve the local population with the ideals and ideas of honest politics. Mr Kejriwal himself is fond of repeating the proverb of Rome not being built in a day to give an idea of the task ahead. And the challenge lies precisely in building an organisation from the bottom up. There have been social movements in the past - some more successful than others - for specific causes. Some have been more narrowly focused to seek linguistic and political goals, as the country witnessed in the N.T. Rama Rao cause. Even Anna’s movement before it blossomed from a pitch for a powerful Lokpal into a comprehensive anti-corruption tsunami stopped short of assuming formal political overtones. It was Kejriwal who separated from Anna to convert the concept into an overt political challenge. Mr Kejriwal has pulled one rabbit out of the hat in Delhi to almost universal applause, barring the political establishments that have borne the brunt of the backlash. Can he, in course of time, perform the almost superhuman task of stirring the country with his cry for probity in politics? Indeed, can the democratic structure with its many Indian variations in the noisy demonstrations, grandstanding politicians, political tamashas, wedding-like feasts, now amplified a thousand times by modern technology practised most successfully by the BJP, survive the shocks of honest politics? At the very least, Mr Kejriwal will have laid down some bench marks for revitalising the system by his brand of politics. Perhaps some of it will even rub off on the traditional politicians, if only to give the appearance of being above board. In any event, the political coming of age of AAP in its first experiment of its kind is to be welcomed as a breath of fresh air in the stale atmosphere of politics as usual. It is the beginning of a long journey. BJ was reclusive by nature and it suited him that they had a bungalow, without any neighbours. After office-hours, his passion lay in his well-equipped workshop in the largest room of their bungalow. He would be building or repairing his sail-boats and/or his faithful, old Morris car. Suitable attachments were fabricated either to his own designs or borrowed from sporting magazines to carry one sail boat complete with the riggings upon the car roof. When almost every one congregated at the Officer's Institute on Saturday evenings, BJ in his dungarees would be readying the car for the Sunday family outing, sailing and picnicking with their pet dogs. Perhaps the most loveable trait came to light when BJ was promoted to Command 19 Artillery Brigade, the only at the time (1950s) in the Srinagar valley. It was a common austerity practice in the Army those days to prescribe the maximum mileage limit, for each vehicle by type, for the year. However, the motor-cycles were kept outside the ambit of any such restrictions. So when Brigadier BJ’s staff car had logged its annual mileage quota, and there were four months ahead yet, he simply commandeered an Army motor cycle to discharge his command functions. His staff rose to the occasion. The machine was given a fresh coat of paint and the commander’s pennant was duly mounted atop the front mud-guard. One star plate was bolted to the handle bar and in the rear, another replaced the mud-flap. However, the staff were at their wits’ end as to where and how to install the flashing red beacon? BJ with his inimitable humour simply replaced his khaki beret with a striking pink-red one, when riding his machine! And in the process, acquired the sobriquet “Red Beret Jackson”! However, the true-to-life BJ was in his elements sans any frills, that is, in olive-green overalls, canvas shoes, a corn-cob smoking pipe (a la General Douglas MacArthur) and the Grouse-shooter's tweed cap (the classic, golfing cap as opposed to today's skull caps). Lean and upright like a bean-stalk, not an ounce of fat, smiling grey eyes and a warm, big heart. He seldom lost composure, spoke only when he must and was held in a kind of awe which comes from genuine respect rather than fear of admonishment. And as they say, BJ remained a “Verray parfit, gentil knyght” with or without the red beacon! To maintain an elevated identity, symbols of power were created and introduced as codified administrative measures. Photos courtesy Sharada Dwivedi and Manvendra Singh Barwani, from The Automobiles of the Maharajas. Mahatma Gandhi was among the first to have spoken on the issue of elitism at great length. In his usual but uniquely uncommon manner, Mahatma Gandhi had warned: “Democracy cannot be run if you leave your thinking to be done by those who live in palaces whether they be the British or our own countrymen” (June 3, 1947, Prayer Meeting). Some days later, Gandhiji again shared his disgust and pain for the manner in which British pomp, pageantry and protocol were being adopted by those on whom the responsibility to govern free India had fallen: “The imposing array of bodyguards and liveried servants moving about in palatial buildings of provincial governors and ministers… when the people are starving for want of food and employment”. On July 28, 1947, Gandhi wrote to Jawaharlal Nehru, advising him on the urgent need for simplicity and austerity in running the country. He urged Nehru to convince the Viceroy to shift to a more humble abode so that Rashtrapati Bhawan could be put to better use. In yet another letter (July 17) Gandhi had warned Nehru: “We are going in for British extravagance and elitism, which the country cannot afford”. Nehru himself was dismayed by the course that events were taking and how rapidly the colonial mindset had embedded itself in the administrative system in free India. About a month before his death, Nehru was asked as to what he regretted most. He had replied: “Failure to reform the bureaucracy and free it from its colonial mould”. Nehru drew attention to how, beginning from the top, the affluence, splendour and complex protocol associated with the rulers of British India was complacently accepted as pre-requisites for free India’s rulers and administrators. It is important to understand that this adoption of the colonial mould was more a result of choice rather than the compulsion of circumstances. Even as political leaders like Nehru and Sardar Patel were struggling to help the infant nation find its feet, the bureaucracy and even the judiciary stealthily chose for themselves the colonial structure of perks and privileges. 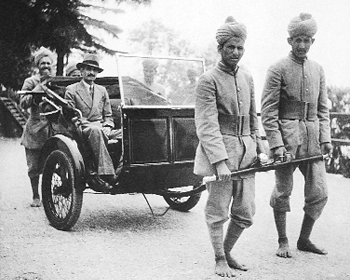 The number of British personnel, both military and civil, never at any stage exceeded 75,000 in India. Of this, the number of civil officials at maximum was never in excess of 4,500. For a country the size of India this number was inconsequential in terms of leaving an impact. In this sense, the responsibility of implanting on the impoverished people, struggling with the first steps of democracy, a system of governance that was arrogant, elitist and distant must rest on our own shoulders. It is ironical as such that the very system that personified in its opposition the struggle for freedom was adopted as a medium to govern free India. Many reasons have been given for why India was unable to develop a system of governance that was sympathetic, humble and suitable to its needs. Noted historian Prof. Ravinder Kumar has explained the circumstances. Unlike say as in China and Russia, where the new states were able to choose their new administrative culture, in India the Congress that led the fight for freedom did not have the requisite cadres to enforce a break from its colonial past of misrule. To understand the problem of elitism upon which the Apex Court has commented, one needs also to understand the essence of the colonial administrative structure. The principal objective of the colonial rulers was enforcement of law and order, collection of revenue and, above all, maintenance of the socio-economic status-quo. The British Empire was the result of military power, an effective administrative system supported by corrupt, intriguing and weak princely rulers. Centuries of top-heavy rule had made the state insensitive to mass perspectives. The British had realised that to rule an alien people and an alien land, they would require a system of governance very different from their own. The instilling of fear was chosen as the key element of governance. As such, several features were introduced — protocol and elitism were fundamental. “The tours of the District Collector, his holding of courts in different parts of the district and the pomp and show associated with it and the great distance at which the common man was kept created a situation where the masses developed fear of the administration.” (C.P. Bhambri, Administration in Changing Society, p. 5). To maintain an elevated identity, symbols of authority were created and introduced as codified administrative measures. 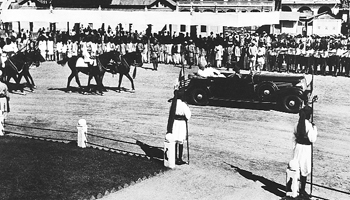 Guards of honour, saluting, flags with different colours, extensive protocol etc. became parts of routine administration. Contrary to the norms of administration adopted by the British to govern in India, the administrative approach created to govern England was totally different: “Among the four operational principles on which rests the British civil service today, the first and most important is anonymity (of the civil servant)” (A.H. Birch, The British System of Governance, p. 173). No civil servant or judge of any stature in Britain, USA, Canada, France, Australia, Japan, and Germany, for example, is provided the privilege of projecting one’s status by symbols of identity in public places. The tradition of anonymity adopted for the Civil Service by the British in their own country follows from the convention that the more a civil servant or a judge or any such authority loses his anonymity, the more partial he is likely to be. Such is the tradition which the British have developed for themselves. Public display of authority is unknown in developed democracies. Most developed countries have restricted such protocol procedures only for their executive and constitutional heads of government. In India, however, in line with its colonial past every district, every sub-division has its own “little head of state”. The frivolities associated with visits of ‘VVIP’s,’ for example, have as we know gone to ridiculous levels to say the least. Vehicles of public servants now carry not only the occupant but announce his status, demand right of way on the road, courtesy “flashing lights”, some have even created their own flags. In most developed countries, only ambulances, police patrol vehicles and the fire-fighting vehicles are known to claim a right of way. To have an idea of how deeply embedded the culture of elitism and arrogance was in the civil service of colonial India, one can go to L. K. Jha’s, Mr. Red Tape. Arrogance was bred into the Indian Civil Service. Jha, also of the ICS, cites an interesting example. In 1958, the ICS was honoured by the installation of a memorial ‘tablet’ (stone) by the Queen of England in the Westminster Abbey. The Supreme Court order bans use of red beacon by anyone except high dignitaries holding constitutional posts while on duty. A directive to the government to amend the Motor Vehicles Act to make the penalty amounts a deterrent is as it should be. 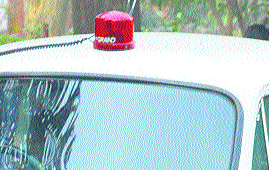 The State govts cannot enlarge the list of VIPs eligible for red beacons. They have been given three months to submit revised lists. The SC also banned private individuals from using sirens in their vehicles and directed the authorities to take punitive action against offenders. Pressure horns, multiple sound emitting horns and musical horns in vehicles have also been banned because they are a source of public nuisance. The Supreme Court’s recent directive restricting beacons and sirens on vehicles, etc. also needs to be understood in a historical perspective. The Court’s observations should not come as a surprise. Public display of authority is unknown in developed democracies. They have restricted such protocol procedures only for their executive and constitutional heads of government. In India, every sub-division has its own “little head of state”. The words for the collective tribute read: “Let them not be forgotten for they served India well”. Below this was a Biblical quotation which had also contained the words: “They walked humbly among the people”. The ICS association strongly represented to the Queen against the line – “walked humbly among the people”. The Queen ultimately consulted Lord Atlee and ordered that in view of the ICS association’s objection the Biblical line should be omitted. In the present context, it was surprising to note that some sections, particularly from the political class, have made fun of the Apex Court’s pronouncements on the ground that the Apex Court has more important things to do than focus attention on such issues. Those who have this mindset are obviously oblivious of ground realities. India is today in the process of a huge political churning. Ask a man on the street of how he visualises the state and its functioning. In all probability, the answer would be — “the state has come to exist only for itself”. More keen observers would also note that the ultimate objective of those in power, irrespective of the political outfit is to retain power. I was travelling one day from Delhi to Kurukshetra. From the Delhi border upto the Madhuban Police Complex I did not see even one policeman on traffic duty. However, as we crossed the Madhuban gate there were several policemen who stopped the traffic on NH-1 so that the vehicle of the DGP with pilots and escorts could move on the highway. As we followed the vehicle upto Pipli (Kurukshetra), we noticed that at every intersection there was a police vehicle and several policemen whose duty was to ensure passage for the DGP’s convoy. Put together the number of policemen on duty must have been at least 100. These policemen were deputed for the few-seconds’ task on a Sunday morning. I often wonder what goes through the minds of constables who are deputed on such duties, standing for hours on roadsides for the few seconds that the so-called VIP takes to pass by. In sharp contrast, I recollected an incident. Soon after the 9/11 tragedy in New York, I was in Cambridge University working for a book. Prince Charles was on a visit to Fitzwilliams College. Even though he was probably in the highest-security risk category, there was just one motorcycle piloting his vehicle. As Plato put it (Republic): “The ultimate objective (of governance and democracy) is the same, man is to be made to realise that he is first and foremost a servant of the community.” For us in India, perhaps it is a distant dream.